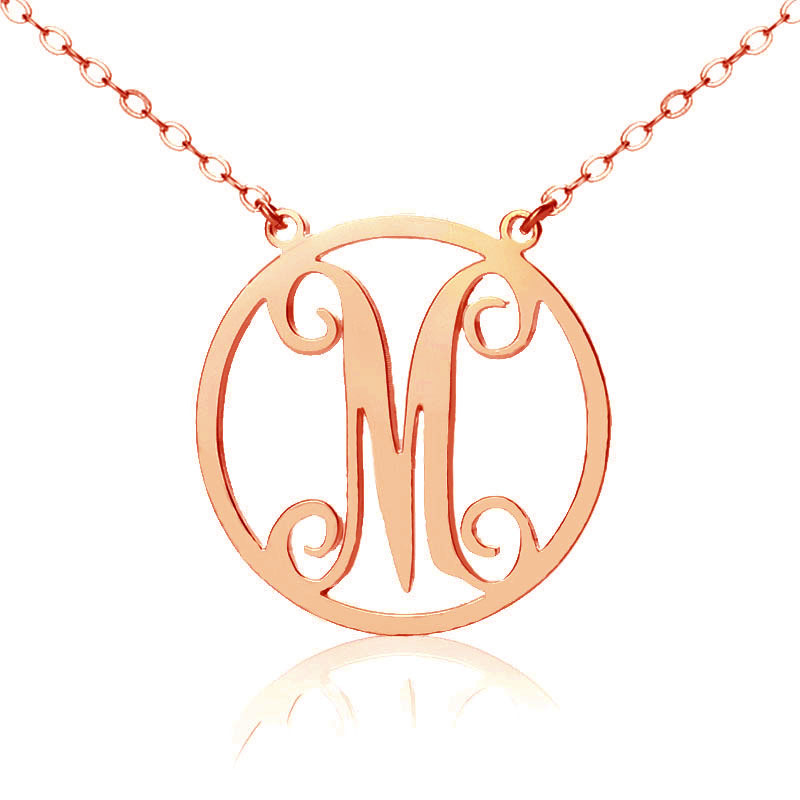 The color of this necklace is also available in Solid White Gold,Solid Gold. 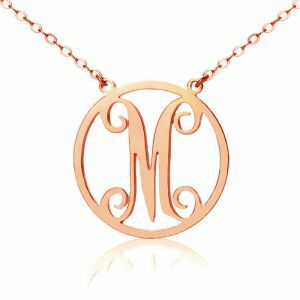 This graceful fashion pendant features prominent any initial in a circle shape.The Solid Rose Gold Single Initial Monogram Necklace has a choice of one letter and is handmade and hand-cut. Celebrate your most cherished sentiment: a word, a name or a solitary initial.